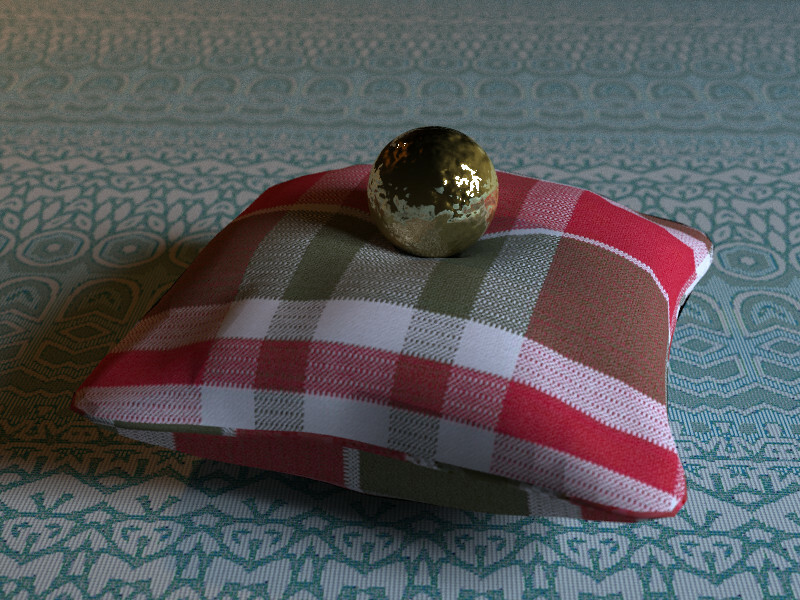 For my “interior” project I needed some fabric images, as my procedural ones were not very convincing, so I started serching on the net. 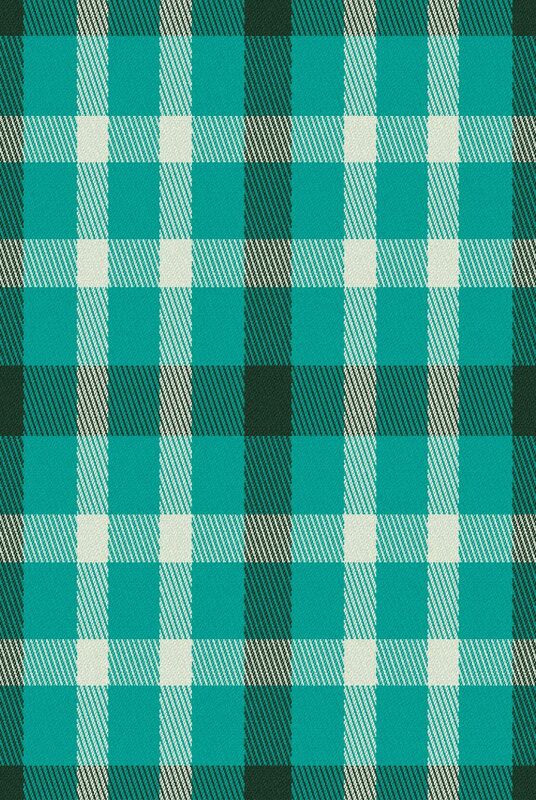 But I didn’t find anything with a minimum quality: big size, straight and without wrinkles, and with an homogeneous lighting. 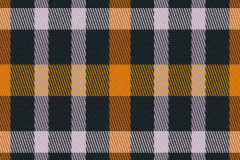 Fortunately, I found something much better: ArahWeave, a fabric simulation program for Linux. 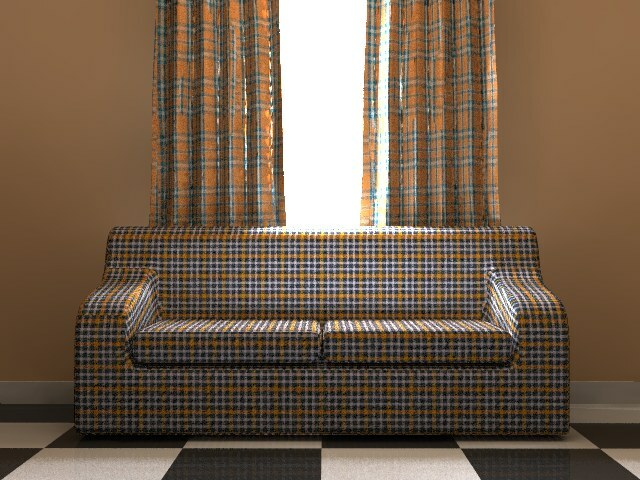 This is really a CAD/CAM systems for weaving, which renders simulations of a great variety of fabrics. 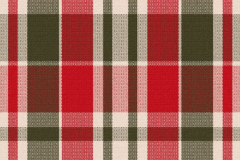 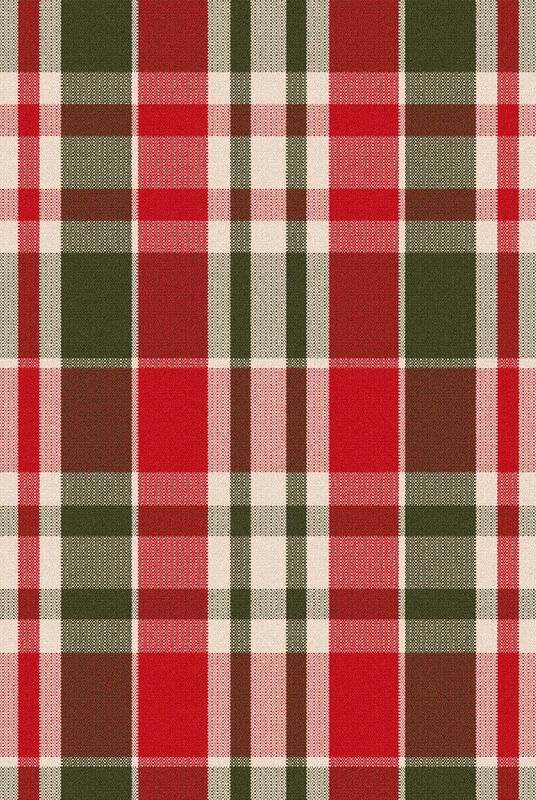 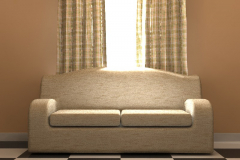 The simulation can be saved to an image file, with the specified repeats and resolution, so it can be used to texturize cloths. 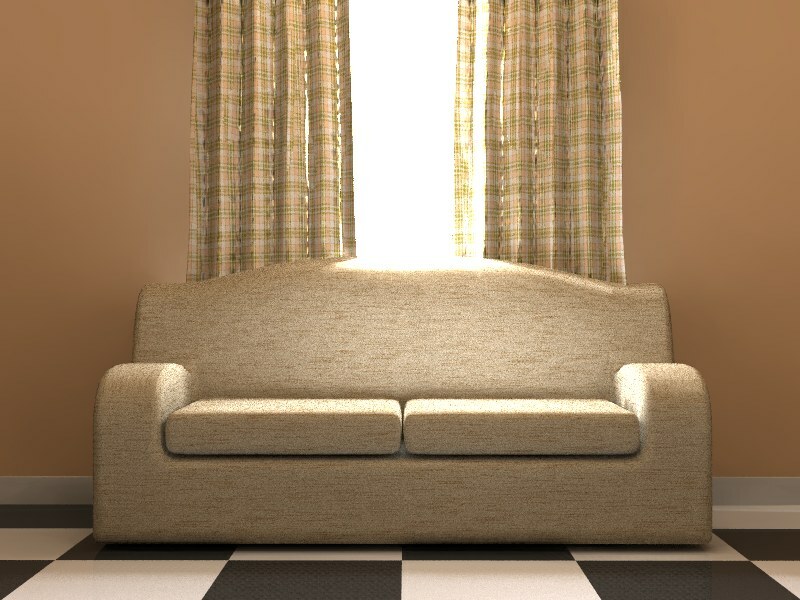 It also includes a program for painting in repeat, ArahPaint, and another for draping objects with the textures, ArahDrape. 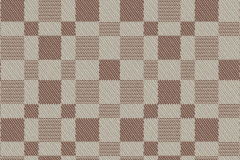 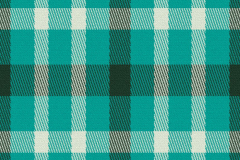 ArahWeave has a very clear and direct usage, as the program comes with hundreds of fabric examples. 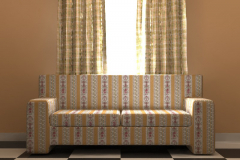 To create your own designs you will need some weaving knowledge (or use trial & error). 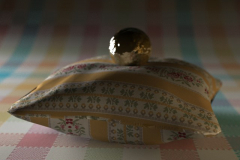 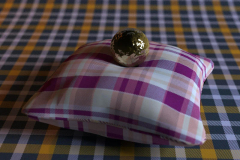 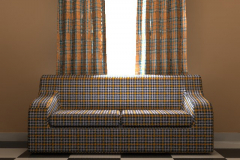 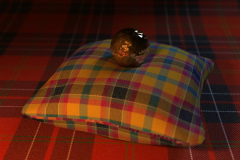 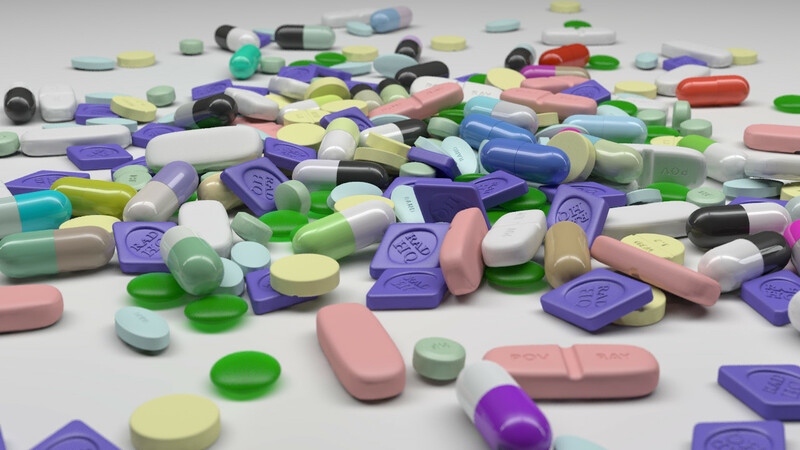 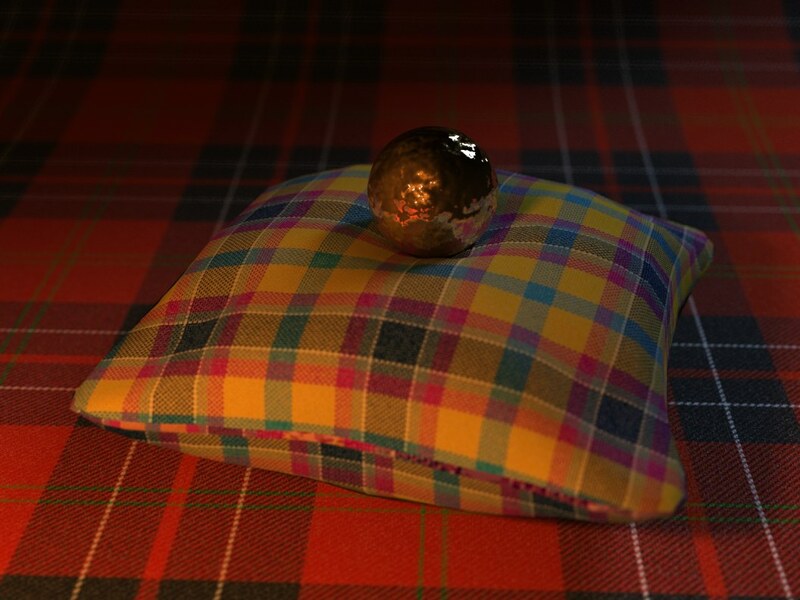 The resulting textures can be used as image_maps with POV-Ray, and are specially realistic when used for UV mapping of cushions, curtains and sofas. 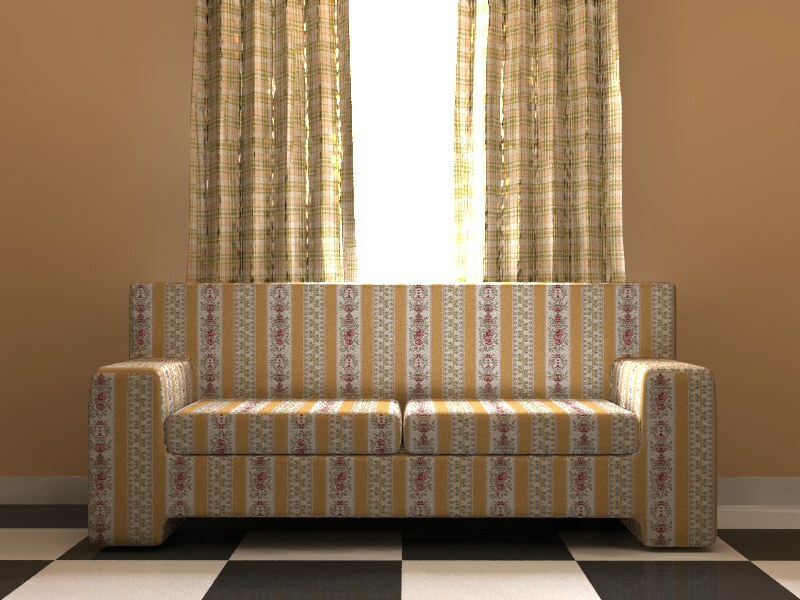 ArahPaint can be useful to paint in repeat the patterns used to create the fabric designs. 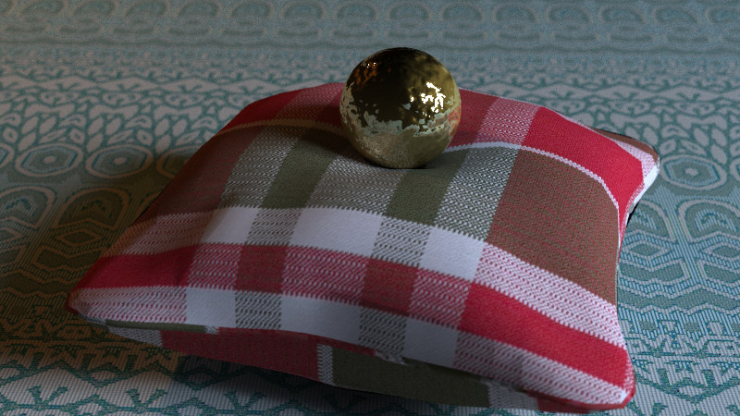 I’ve created a POV-Ray scene (based on my tiles macro) to obtain random geometric patterns which I then retouch with ArahPaint before using them on ArahWeave to make the fabric. 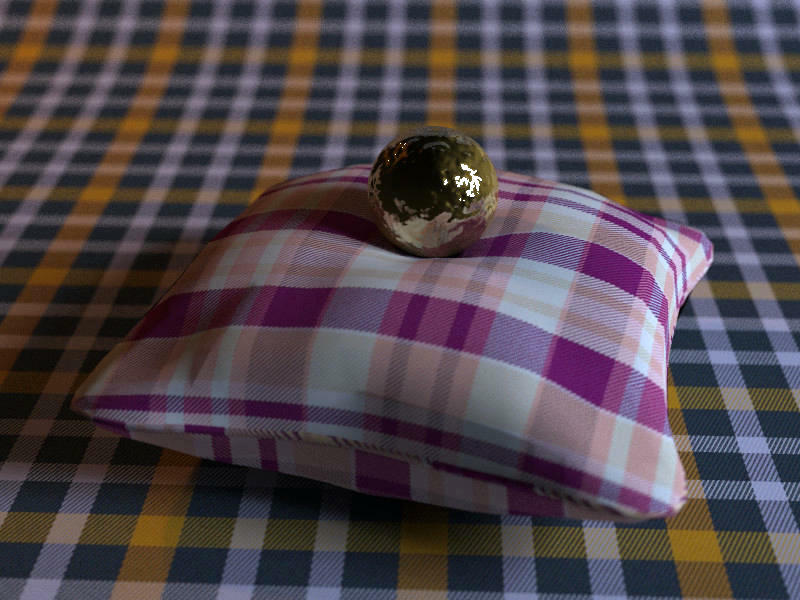 ArahDrape can also be useful for 3D, although it’s not very evident. 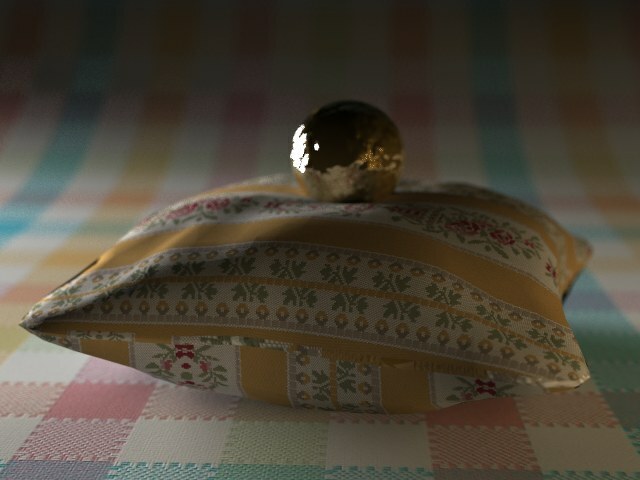 With modeling programs like Wings3D, to create an UV mapped texture you can generate an image of the object unfolded, wich is usually painted later manually with a paint program. 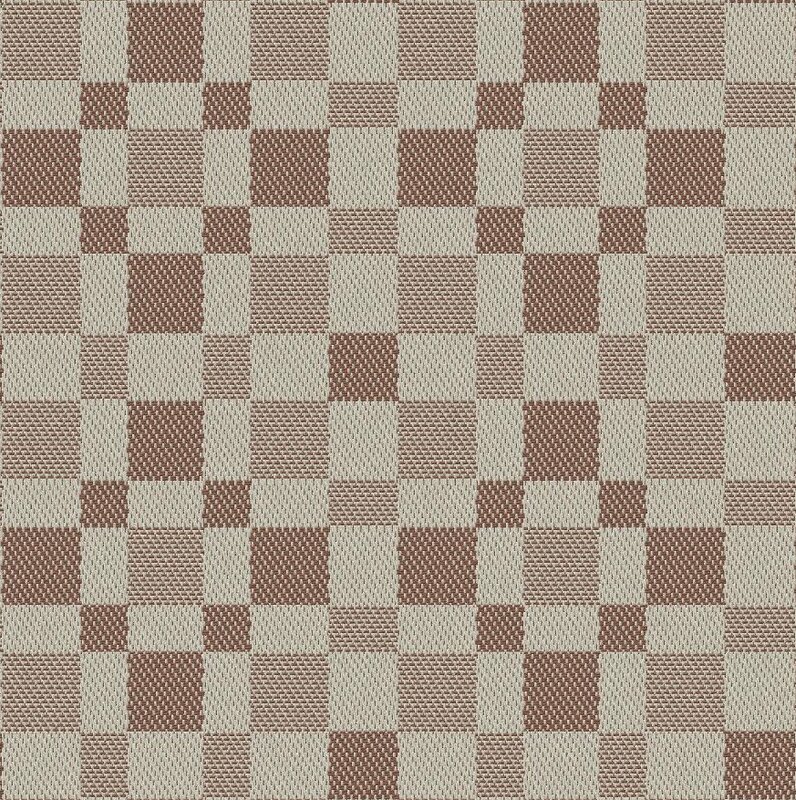 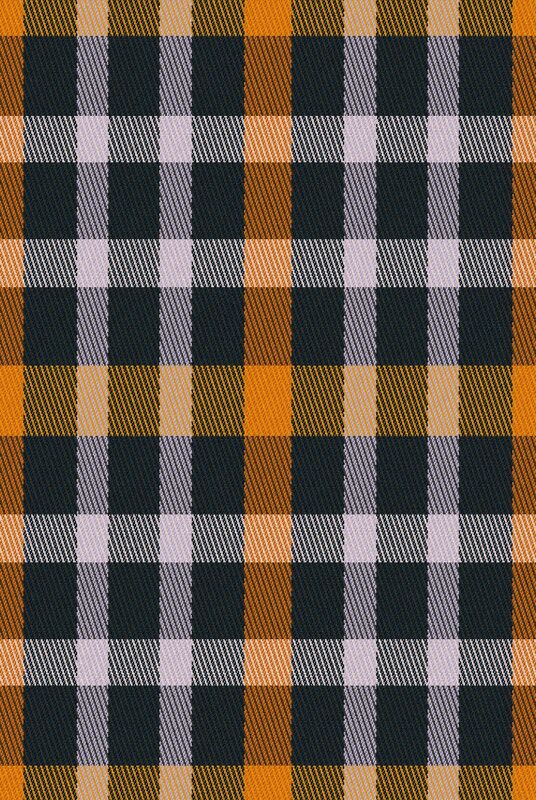 But with ArahDrape you can distort a texture to match the unfolded image, so when you apply it back to the object it doesn’t looks distorted.